Twitter Inc. is tentatively giving certain users – those who are chosen and others who resort to subterfuge – more room to express themselves. The social media icon announced Wednesday that it was doubling the number of characters “a small group” could use in a single tweet, from 140 characters to 280, though multiple users have already discovered workarounds that lets desktop users temportarily access the new limit. In a Sept. 27 post on the official Twitter blog, Twitter product manager Aliza Rosen said that while the feature has only been released to a limited number of users for the time being, the company wanted to be transparent about why it was implementing the change. 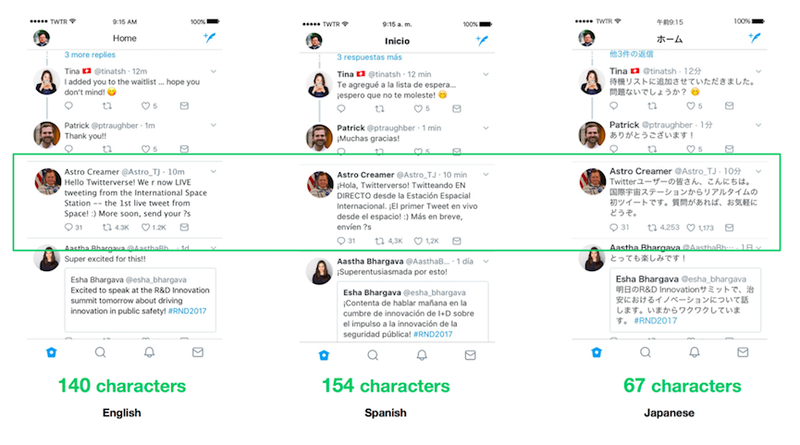 Noting that she herself has felt constrained by the 140-character limit, Rosen wrote that according to Twitter’s research, the challenges faced by English users in writing tweets of suitable enough brevity is shared by users of other Latin alphabet-based languages, including French, Spanish, and Portuguese – but not Kanji-based languages such as Japanese, Chinese, or Korean. 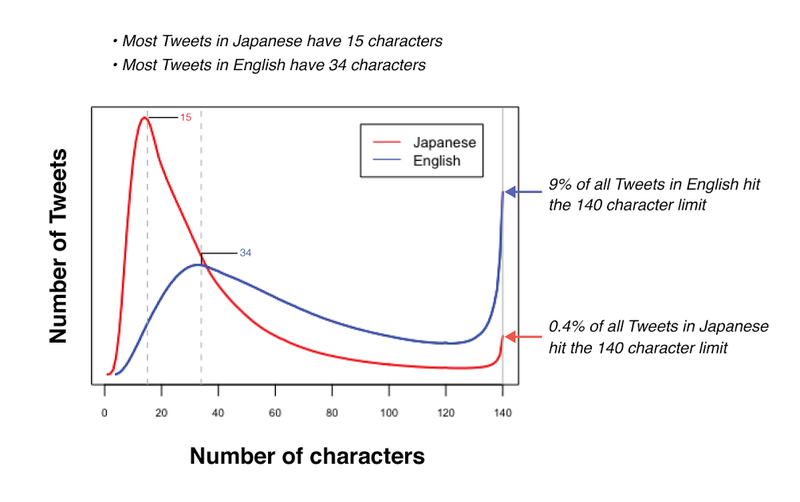 In fact, as illustrated by the below graph, only 0.4 per cent of tweets in Japanese have 140 characters, while in English nine per cent do, she wrote. Moreover, the average Japanese tweet runs 15 characters, while the average English tweet runs for 34. Showing the same tweet in different languages (click for a larger version). And if you want to be included? Thankfully there are multiple workarounds, including a TamperMonkey script and Chrome developer tools-based approach for readers who, like this writer, were not included in the initial control group. The easiest one to use was shared with The Next Web by developer Juliette Pretot, who developed a link on her website that lets users increase their character limit simply by clicking a bookmark before writing a tweet using Tweetdeck. Step 2: Go to Tweetdeck. The irony in writing my first 280-character tweet is that it doesn't take 280 characters to express the fact that I'm writing my first 280-character tweet, even though I frequently run out of room when copying my headlines to Twitter. I'll have to think of something to extend it.